E-Learning Centre (eLC) is one of the six centers of the University Of Colombo School Of Computing. Its main goal is to facilitate the digital transformation of teaching-learning process by integrating e-learning practices. Although it is a service Centre of the UCSC to support undergraduate, postgraduate and external and extension degree programmes, it has become a national Centre during the last decade by providing services for both local and international organizations (www.e-learning.lk). 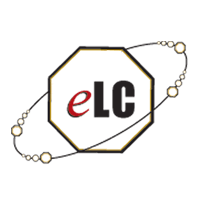 eLC has a dedicated staff who conducts research and development work in e-Learning. On behalf of UCSC, e-Learning Centre is willing to undertake assignments in the domain of e-learning. Managed the online learning programme “Foundation in Information Technology” (FIT) via http://fit.bit.lk/vle, as the foundation programme in ICT. Developed interactive content for teaching, learning and assessment for the online courses hosted in the VLEs. Provided an online guidance, also known as e-Facilitation, for the BIT and FIT online courses. Supported conducting “blended learning” workshops for other faculties in the University of Colombo as capacity development programmes under the UNESCO Funded Blended Learning Project of the University of Colombo. 40 online courses available in the http://www.e-learning.lk/vle for the general public with interactive online content and online assessments.